Sophisticated, Hip, Fun, Modern, Edgy…CURRENT HOME. 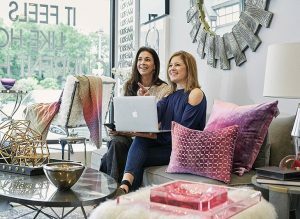 This modern home accessories and gift boutique provides Westchester residents with a one-stop shopping destination for all of their gift and entertaining needs. 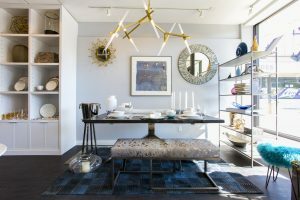 The mission of the store owners, Alyson Lane and Karen Tolchin, is to provide their discerning clientele with an expertly edited selection of unique pieces, in every price range, that are both hip and timeless. 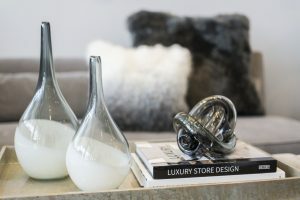 The collection of tableware, serving pieces, vases, candlesticks, serving trays, and bar accessories, make it easy to choose a hostess gift, housewarming gift or something special for yourself. The knowledgeable staff provides attentive one-on-one service while shopping in the store. 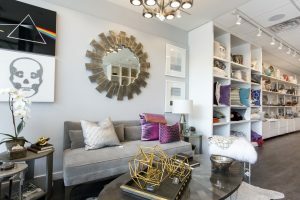 You can also take advantage of their in-home styling service, COMPLETE by Current Home. A stylist will come to your home to help select the perfect touches needed for the finished look you always dreamed of.